Synergy Leadership Summit is a 24-hour leadership add-on experience for any interested participant attending one of our five camps. Campers who choose this add-on will have the opportunity to interact, learn, and engage with other student leaders as well as attend large group keynotes, engaged small group workshops, and learn from other young leaders. This experience is designed to be action-oriented and service-focused, to provide students with transferable skills that can be taken back to to their schools, music programs, and communities. **Note: The Synergy Leadership Summit takes place July 8-9, 2019. The cost of this add-on is $100. 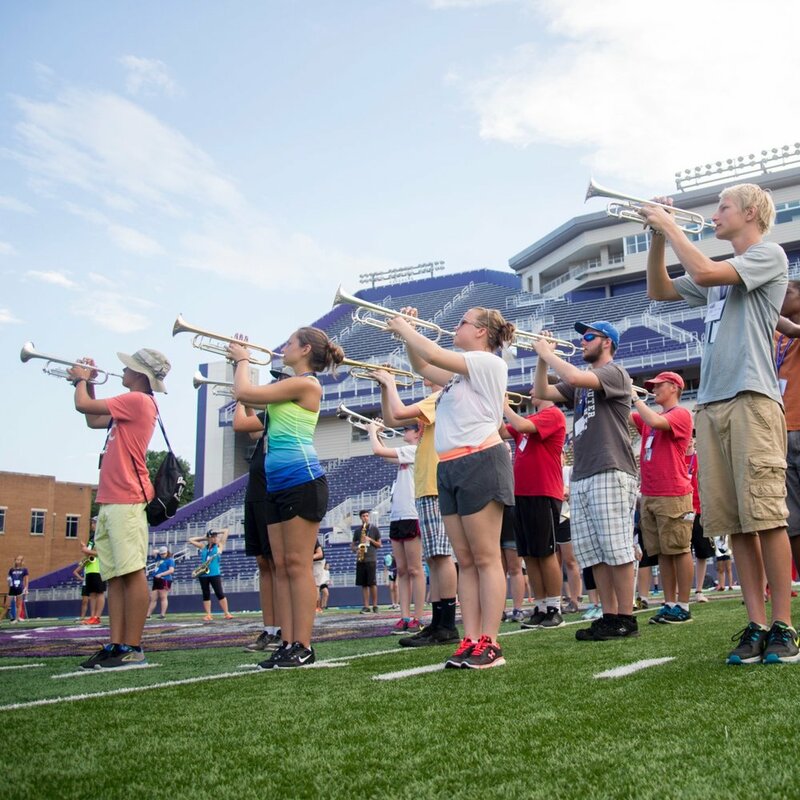 The concert band camp will be rehearsing in the Music Building and the Forbes Center for the Performing Arts. To download the Varsity Drumline Audition Music for the 2019 camp please visit the Downloads Page of our website. Colorguard & Weapon Camp is designed for students of all abilities. This camp will be divided into sections according to ability in order to provide the most concise and individualized training possible. Each section will work on basic technique and choreography both with and without equipment, and will produce a routine to be performed at the camp’s final performance. In addition to color guard, there will be a weapon component for individuals who are interested in rifle and/or sabre.